In another trial, an Indian man’s cancer improved but he suffered a heart attack and brain stroke; Chinese doctors didn’t investigate the cause, the deceased man’s family said. T. M. Landry is in Breaux Bridge, Louisiana, a high-poverty town of fewer than 10,000. The school’s graduates are overwhelmingly black, poor, or both—a socioeconomic segment that, due to pervasive discrimination, is notoriously underrepresented in higher ed. Statistically speaking, when a poor black student is admitted to a Harvard or a Yale, it’s a minor miracle. The odds of an institution sending graduate after graduate to the Ivy League and similar schools are infinitesimal. Watching T. M. Landry’s viral videos was akin to watching lightning strike the same spot not twice, but over and over again. Had the Landrys cracked the educational code? At the end of November, in a blockbuster story, The New York Times solved part of the puzzle. The Landrys’ school seems to have been a fraud all along—faking transcripts, forcing students to lie on college applications, and staging rehearsed lessons for curious media and other visitors. According to the Times, an atmosphere of abuse and submission helped maintain the deception, with Michael Landry lording over his flock of children like a tyrant. In the Times story, Landry admitted to helping children with college applications while denying any fraud. The school did not respond to requests for comment for this story. Still, a mystery remains. Even taking the alleged fakery into account, how did T. M. Landry seem to fool so many of America’s most prestigious universities for years? The work of admissions officers is notoriously secretive, but what little is known about the Landry affair threatens foundational assumptions about American higher education. Most philosophy departments, and many maths departments too, teach little or no serious logic, despite the centrality of the subject. Many students will therefore need to teach themselves, either solo or by organizing study groups. But what to read? Students need annotated reading lists for self-study, giving advice about the available texts. The Teach Yourself Logic Study Guide aims to provide the needed advice by suggesting some stand-out books on various areas of mathematical logic. NB: mathematical logic — so we are working a step up from the kind of ‘baby logic’ that philosophers may encounter in their first year courses. You can also find here some supplements and further Book Notes of various kinds. Politically and economically, unions are sort of an odd duck. They aren’t part of the apparatus of the state, yet they depend crucially on state protections in order to wield their power. They’re stakeholders in corporations, but often have adversarial relationships with management. Historically, unions are a big reason that the working class won many of the protections and rights it now enjoys, but they often leave the working class fragmented and divided — between different companies, between union and non-union workers, and even between different ethnic groups. Economists, too, have long puzzled about how to think about unions. They don’t fit easily into the standard paradigm of modern economic theory in which atomistic individuals and companies abide by rules overseen by an all-powerful government. Some economists see unions as a cartel, protecting insiders at the expense of outsiders. According to this theory, unions raise wages but also drive up unemployment. This is the interpretation of unions taught in many introductory courses and textbooks. Here we can say, with some confidence that FiveThirtyEight predictions are not reliable probabilities. However, they masquerade as one, being between 0 and 1 and all. This is Taleb’s primary argument; FiveThirtyEight’s predictions do not behave like probabilities that incorporate all uncertainty and should not be passed off as them. I do not want to suggest that FiveThirtyEight is bad at their craft. They are, likely, the best poll aggregator in the business. If we only look at the last reported probabilistic forecast and use the public’s decision boundary, they are more successful than any other source attempting the same task. However, positioning yourself to appear correct regardless of the outcome, making users infer their own decision boundaries, over-reporting of predictions, and ignoring epistemic uncertainty should not be overlooked. How goes FiveThirtyEight’s reputation, so goes much of the data community’s reputation. When UC Santa Barbara art professor Kip Fulbeck visited a colleague’s class as a guest lecturer last year, he grew fed up with students who slept, played with their phones or left for the restroom and didn’t come back. He noticed that many of the offenders seemed to be international students from China. Turn your phones off. Go to the bathroom now. He spelled out his expectations in English — and Chinese. Some students gasped. Others shrugged it off. Several snapped photos of the list and posted them on Chinese-language social media. Soon, a Chinese student group had raised the specter of discrimination and launched a petition drive, demanding an official explanation. David Marshall, UC Santa Barbara executive vice chancellor, said he saw both sides and asked all parties to sit down to discuss the incident. The course’s professor apologized in class and in a statement to the student group. Due to potential theoretical and societal implications, cognitive training has been one of the most influential topics in psychology and neuroscience. The assumption behind cognitive training is that one’s general cognitive ability can be enhanced by practicing cognitive tasks or intellectually demanding activities. The hundreds of studies published so far have provided mixed findings and systematic reviews have reached inconsistent conclusions. To resolve these discrepancies, we carried out several meta-analytic reviews. The results are highly consistent across all the reviewed domains: minimal effect on domain-general cognitive skills. Crucially, the observed between-study variability is accounted for by design quality and statistical artefacts. The cognitive-training program of research has showed no appreciable benefits, and other more plausible practices to enhance cognitive performance should be pursued. 20 percent. 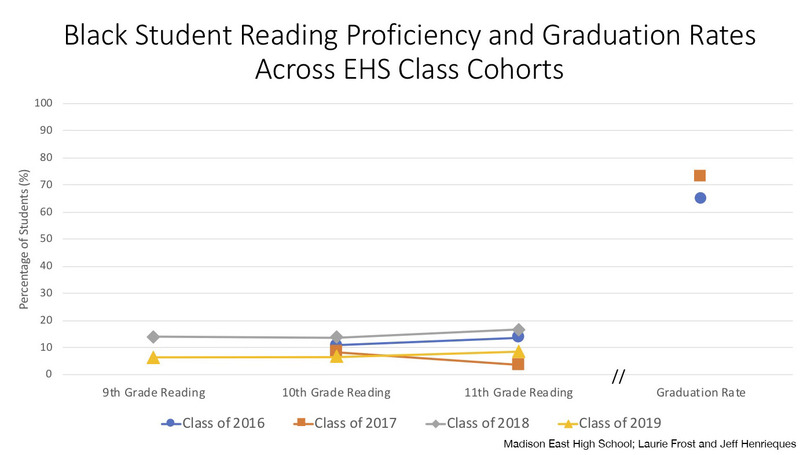 That is roughly the percentage of Milwaukee students, both in public and private schools, who were rated proficient or advanced in reading in tests in spring 2018 — and it’s about the same figure as every year for many years. Folks, we have a huge reading crisis. There may be more attention being paid to this, but there is little sign so far of more action. A majority (including Mr. Hughes) of the Madison School Board rejected the proposed Madison Preparatory IB Charter School (2011). The U.S. fiscal imbalance—the excess of what we expect to spend, including repayment of our debt, over what government expects to receive in revenue—is large and growing. And with politicians proposing large new expenditures, little is being done to rectify the country’s fiscal health. Although some policymakers argue that fiscal meltdowns have never happened in U.S. history and that therefore “this time is no different,” the reality is that the nation’s fiscal situation has been deteriorating since the mid-1960s, is far worse than ever before, and could lead to a fiscal crisis if no major spending adjustments occur in the next few decades. To demonstrate this argument, this paper projects fiscal imbalance as of every year between 1965 and 2014, using data-supported assumptions about gross domestic product (GDP) growth, revenue, and trends in mandatory spending on Social Security, Medicare, Medicaid, and other programs. The projections reveal that the United States has faced a growing fiscal imbalance since the early 1970s, largely as a consequence of continuous growth in mandatory spending. As of 2014, the fiscal imbalance stands at $117.9 trillion, with few signs of future improvement even if GDP growth accelerates or tax revenues increase relative to historic norms. Thus the only viable way to restore fiscal balance is to scale back mandatory spending policies, particularly on large health care programs such as Medicare, Medicaid, and the Affordable Care Act (ACA). Power players and grizzled veterans often do not understand how profoundly newcomers or outsiders to elite law schools — I count myself a little of both, but I mean first-year students — are prone to worry about why they are there. Students engage in constant self-questioning: Can I reconcile my politics with my self-interest? Am I really devoting myself to a career that will lead to systemic change, or to one that will reproduce hierarchy instead? The ethical struggles of elite law students might seem the pinnacle of first-world problems, but they are real nonetheless. And while the question of whom law school really serves can haunt individual consciences, it drives rationalization at the institutional level, too. Every year, law schools produce glossy booklets and press releases advertising their social virtue. Nowhere is this image management more troubling than when it mystifies the real function of law schools in reorienting the hopes and even reshaping the personalities of the young people who enter them. Having entertained inchoate dreams about social transformation, the students themselves are transformed the most, especially when they accept a set of beliefs about how the world is likeliest to change — through a politics of marginal legal reform by insiders to the system. That is, if the world can change at all. Data show that large numbers of students entering law school say that they hope to work in the public interest, but then end up working for large firms instead — though debate rages about when precisely they defect and why. Debt burden is one explanation, but informal expectation and institutional pressures are probably more to blame. And the realities of this “public-interest drift” fit very poorly with the self-advertised rationales about how legal training in its current form serves social justice. In some cases, the gap is all but nonexistent. Take, for example, Chicago, which in the late 1980s was notoriously deemed the country’s “worst school system” by then-Education Secretary William J. Bennett. A number of recent studies have shown that while standardized-test scores across Illinois have been flattening for the past decade or so, achievement in Chicago’s public-school district (CPS) has been steadily rising. According to a report released last month by a group of distinguished China scholars, the Chinese Communist Party (CCP) uses vague threats to induce US professors and students to avoid topics that might offend Chinese government sensitivities—research or discussions on Tibet, Taiwan, Xinjiang, human rights, and Chinese politics, for example. It denies visas to scholars who criticize the regime, uses Chinese students in the US to inform on one another, and punishes universities for hosting controversial speakers. After a university hosted the Dalai Lama, Beijing retaliated by banning Chinese students and scholars with funding from the Chinese government from attending the university. When the institutions we entrust to pursue the truth start avoiding the truth—particularly academic research that few of us can do on our own—we all suffer. The importance of universities’ truth-seeking role cannot be overstated. Medical researchers produce data on effective and ineffective therapies. Economists measure the impacts of different policy options. Sociologists study how public institutions and individual experiences affect education and its outcomes. Political scientists analyze governments. The integrity of American universities has rarely been questioned because it was assumed scholars enjoy academic freedom. In contrast, Chinese scholars inhabit a very different world. When I worked in Beijing 10 years ago, I frequently met scholars who had to be careful about what they said. In 2010, I co-hosted a program with a well-respected professor at Peking University—China’s finest. He became agitated and angry when one of the speakers just mentioned the name of a critic of the regime, Liu Xiaobo. The professor feared he would be demoted or have his salary cut. The incident gave me renewed gratitude for the freedom on US campuses. The prosecution’s star witness — a forensics specialist named Herbert MacDonell — set out an array of props before the jury: a medicine dropper, a mirror hastily yanked from the wall of the courthouse bathroom and a vial of his own blood, drawn that day at a nearby hospital. It was a strange sight in the 1985 Texas courtroom, and the jurors, the judge and even the defense attorneys watched, rapt, as MacDonell laid the mirror flat and then climbed up on a chair, holding the vial and dropper. MacDonell’s expertise lay in an obscure discipline known as bloodstain-pattern analysis. He claimed he could reconstruct the events of a crime by reading the bloodstains left behind. Like a professor performing a classroom demonstration, he dipped the dropper’s tip into the blood and, with a practiced hand, released a single drop onto the mirror. It landed with a muted thud, forming a perfect crimson circle. Blood landing on a flat surface should not spatter, MacDonell told the jurors with satisfaction. He let another drop fall onto the white shirt he was wearing. Blood lands differently on fabric, he showed them. A defense attorney shot up from his chair in protest. This was a murder trial. There was no mirror at the crime scene. No medicine dropper. The demonstration was not reliable science, he argued. The judge disagreed. Mr. Daniels, 69, is the most innovative university president in America. Like his counterparts at other schools, he believes higher education has been “a competitive advantage” for the U.S.—“a nice little export industry, if you add up all the dollars that come here to purchase the education of students from other places.” He regards the rumbling in Washington about curbing visas for foreign students to be “very shortsighted.” But he also thinks American higher education has grown fat and complacent. He’s making inventive, even radical changes in the way his institution finances itself and imparts an education. For academics fearful of quoting from copyrighted texts, teachers who may be violating the law with every photocopy, and modern-day artists in search of inspiration, the event is a cause for celebration. For those who dread seeing Frost’s immortal ode to winter used in an ad for snow tires, “Public Domain Day,” as it is sometimes known, will be less joyful. Despite that, even fierce advocates for copyright agree that, after 95 years, it is time to release these works. “There comes a point when a creative work belongs to history as much as to its author and her heirs,” said Mary Rasenberger, executive director of the Authors Guild. To second approximation, however, increasing the number of publications does not necessarily also lead to more good science. Two short papers don’t fit as much research as do two long ones. Thus, to second approximation we could take into account the length of papers. Then again, the length of a paper is only meaningful if it’s published in a journal that has a policy of cutting superfluous content. Hence, you have to further refine the measure. And so on. This type of refinement isn’t specific to science. You can see in many other areas of our lives that, as time passes, the means to reach desired goals must be more carefully defined to make sure they still lead where we want to go. Take sports as example. As new technologies arise, the Olympic committee has added many additional criteria on what shoes or clothes athletes are admitted to wear, which drugs make for an unfair advantage, and they’ve had to rethink what distinguishes a man from a woman. Or tax laws. The Bible left it at “When the crop comes in, give a fifth of it to Pharaoh.” Today we have books full of ifs and thens and whatnots so incomprehensible I suspect it’s no coincidence suicide rates peak during tax season. BIRMINGHAM, ENGLAND, is shaped like a kidney, taller than it is wide, curving eastwards slightly on its longer sides. It is contiguous, blob-like, sensible. Birmingham, Alabama, founded in 1871 and named after its English ancestor, looks as if it was imagined by a deranged computer, straight lines and sharp angles and missing bits in the middle (see illustration above). One pseudopodium extends to the west, long and thin, until it widens out a bit and ends in a box. To the east is a tumorous outgrowth, thin, then wide, then thin again, doubling back on itself several times. From San Jose in the west to Savannah in the east, and from tiny Minot in North Dakota to sprawling Fort Worth in Texas, odd city maps can be found all across America. With some exceptions, these boundaries are administrative confections that make few allowances for geography, population density or common sense. The conquistadors were Spanish and Portuguese soldiers who explored much of the world during the Age of Discovery. They are best remembered for their conquests and exploration of the Americas. Conquistadors like Hernan Cortes and Francisco Pizarro became legendary for their conquests of the Aztec and Inca Empires, honored as national heroes for centuries after their deaths. In modern times, people have taken a more skeptical view toward the conquistadors, dismissing them as greedy and careless barbarians interested only in gold. While this was true of many of them, the conquistadors were certainly a fascinating lot of adventurers, filled with larger-than-life characters whose dreams, failures, and occasional triumphs—overshadowed by the big, successful names like Cortes and Pizarro—make for some fascinating stories. FOR NEARLY FOUR DECADES now, the Diagnostic and Statistical Manual of the American Psychiatric Association, or DSM for short, has exercised a stranglehold of sorts over the mental health sector in the United States, and indeed around the world. Since the publication of the manual’s third edition in 1980, psychiatrists have used a symptom-based approach to name and categorize varieties of mental disturbances — which essentially mirrors the 18th century’s approach to physical illness. As was also true then, there do not exist today any technologies that lend authority to psychiatric diagnoses: no x-rays or MRIs, no blood tests or laboratory analyses that would allow us to make even the most basic distinctions between mental health and mental illness. This unsatisfactory situation has invited controversy and led some misguided souls to deny the very reality of mental illness. The fact that the DSM has passed through three editions and two interim revisions since 1980 is eloquent testimony to the psychiatric profession’s struggle with delineating its territory. Yet, however haphazard, the diagnostic category or categories to which patients are assigned have profound social and medical ramifications. And American professionals — even clinical psychologists who reject the DSM’s model — have no choice but to use (and thereby uphold) these categories if they expect to be paid by insurance companies. They were based on the image of an enthroned emperor, as we see in the altar mosaic of the Santa Pudenziana church in Rome. Colleges and universities across the country are failing to afford their students due process and fundamental fairness in their disciplinary proceedings. These institutions investigate and punish offenses ranging from vandalism and housing violations to felonious acts of sexual assault, handling many cases that are arguably better left to courts and law enforcement. But their willingness to administer what is effectively a shadow justice system has not been accompanied by a willingness to provide even the most basic procedural protections necessary to fairly adjudicate accusations of serious wrongdoing. In November 2018, the Department of Education’s Office for Civil Rights proposed new federal regulations that would require schools to provide many procedural safeguards in sexual misconduct cases. If the regulations are enacted as proposed, a fairer status quo might be on the horizon. But for now, most institutions of higher education maintain disciplinary policies and procedures that fail all students involved. When you search on Google, your query travels to a data center, where up to 1,000 computers work together to retrieve the results and send them back to you. This whole process usually happens in less than one-fifth of a second. Most people don’t realize that while this is going on, an even faster and more mysterious process is happening behind the scenes: An auction is taking place. For as long as you’ve been using Google, Google has been building a “citizen profile” on you. Every internet search contains keywords, and the keywords you just entered into Google are fought over by advertisers. Each advertiser who offers a product related to your keywords wants its ad to be seen and clicked. Many taxpayer supported K-12 school districts use a Google services, including Madison. Hamilton is Madison’s least diverse (Madison K-12 statistics) middle school, yet, we recently expanded it. Less than 1% black proficiency (as opposed to a startling 9% for the state overall)? Man, y’all better keep the eye on the prize and put the outrage where it is supposed to be. Student achievement this bad paints a picture of the future none of us want. Yes, I think it’s terrible that a referee with history of racism required a black student athlete to cut his hair or forfeit his match, I’m more bothered by the fact that we’re outraged at that and not at the fact that his school is failing students like him so spectacularly. 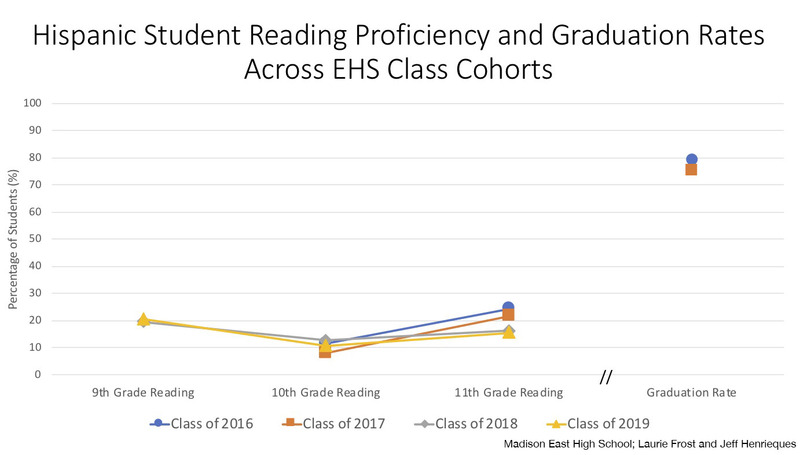 Related: “The data clearly indicate that being able to read is not a requirement for graduation at (Madison) East, especially if you are black or Hispanic”. Authorities said they found an AR-15 semiautomatic rifle at the home of a student who posted a “threatening” video Tuesday night on YouTube. The teenage boy, who attends Dr. Jorge Alvarez High School, is being evaluated and will not return to school until the investigation is complete, police said. Neither Providence school officials or the police would describe the video, but said it was enough to prompt an investigation. Providence police met with the teen and his guardians Wednesday morning. The sprawling, ranch-style home in Coral Springs is nearly vacant now — Andrew Pollack and his wife, Julie, will be leaving for good in a couple of days, and there’s not even a chair for him to sit in during this interview — and when Pollack plays videos from his cell phone, they give off a hollow, distant echo that make the place sound haunted. Which, of course, it is. Sirens. Static. “Shots fired! Shots fired!” The sounds crackle forth as a blurry set of images unspool on the phone’s screen. A roadway, then a locked car trunk, then a pair of hands, leisurely retrieving a vest that’s stenciled SHERIFF. A series of spinning, unstable views as the law officer — it’s now obvious this footage is from a cop’s body cam — shrugs the vest over his shoulders and fastens it. More pictures of hands moving onto and off of the camera. Ninety seconds have elapsed and the car trunk is still visible; the deputy has not moved an inch toward Parkland’s Marjory Stoneman Douglas High School, a scene of terrible carnage. And throughout that 90 seconds, a series of sharp retorts have sounded in the background of the video. For avant-garde poets, audio recording was both a breakthrough and a threat. Some Madison schools will participate next year in a Black Lives Matter event that features a call to “fund counselors, not cops” — despite the School Board’s decision this week to keep police officers in the Madison School District’s four main high schools. Hamilton Middle School said in an email to community members Thursday that it would participate in Black Lives Matter at School week Feb. 4-8. “Other schools in Madison” are also participating in the event, according to the email. End “zero tolerance” discipline and implement more restorative justice programs. Mandate black history and ethnic studies in K-12 curriculum. What this means is that the government decided to convert the pension payments into the Petro cryptocurrency. This was done without any prior notice or the consent of the people receiving the pensions. Senior citizens who get a pension now have to navigate through the carnet de la patria system and find the process that allows them to convert the Petro into bolivars and then send the fiat to a local bank. (This is necessary as you can’t use the Petro for anything currently.) Needless to say, the site does everything possible make this as hard as it can be. Compounding the issue is that people who had not signed up to be part of the carnet de la patria system found their pensions converted. This means that they have to create an account and deal with the official government website in order to access the funds they’re entitled to. We’re teaching young women to embrace resentment dressed up as liberation and agency. The orthodox line of feminism is that women don’t need men, and that it is men who keep women in a state of dependence. This is the doctrine of women’s liberation: we are trying to liberate ourselves from our dependency on men. Pragmatically speaking, the notion that we don’t need men is largely true. (As a single mother and single woman, I’m certainly poorer than my married counterparts, but I am running a family household successfully, if chaotically.) Paradoxically, however, the rhetoric of orthodox feminism implies the reverse: we need men in order to prove to ourselves that we don’t. I don’t need to sleep with a stuffed animal at night, but were I to insist on mentioning this at every opportunity, it would become abundantly clear that the idea dominated me. At a time when Western women have achieved economic independence, control over their reproductive rights, legal equality, and equal professional opportunities, the continued obsession with the need to win independence from the thing that we are, in every measurable way, already independent from, reveals just how subservient we are to the idea of powerful men. After all, only a child still dependent on the comfort of a stuffed toy needs to insist to herself that she isn’t. Yes, but—my detractors might say—women only insist that they don’t need men, because men assume that we do need them. We are fighting the tacit understanding of male privilege and power, and we need to prove to them that their archaic assumptions are not only incorrect, but unethical. Or, they might object that women need to assert that they don’t need men so loudly and consistently because, historically, we’ve been raised to believe we do need them under the rule of the patriarchy and its constructed gender roles, so we must now de-program our sisters and daughters. These objections, however, fall back into the familiar pattern of making The Patriarchy the centre of female identity and ignore what is perhaps the most important fact of the relationship between men and women: although women may not need men, men still need women. Let me say that again: men need us. It’s silly to enter into a conversation about women and men without acknowledging the basic biological drives of our species. I’ve never known a heterosexual man who isn’t constantly preoccupied with thoughts of women. Their own nature is at work against self-possession: the sight or the thought of a woman can overturn a man’s thoughts, his will, and seriously compromise his reason and unbalance his ability to make decisions. At times, this preoccupation can manifest as anger and even hatred. Nobody is suggesting that misogyny isn’t real. Most of the time, however, men’s need of women results in clumsy attempts at flirtation or awkward and unwanted advances. From what I can tell, a large proportion of the #Metoo complaints are of this nature. All the excesses of my own childhood are, of course, available on eBay, priced for the vintage market. There are the accessories for the 1960s Thingmaker, from Mattel, with its metal molds to be poured full of plastigoop (I can smell it now) and cooked to a nice soft solid texture on the square little electrical stove, then lifted out of the mold with a pin and assembled into Creepy Crawlers or Creeple People. I saw a vintage 1965 Thingmaker available for a mere $25, but full sets run to a couple of hundred dollars. Do you have any idea how many processes there are? From changing bus routes for road work to turning in hours for home teaching staff—both done on paper. What is your obsession with names? There are around 800 people in central office. Many have been working there decades. They are unfamiliar with the processes used by outside institutions including other school systems. Humans fear change. You don’t change processes by bullying. It takes time and energy. You commit to the work to make it happen. You can’t pass a resolution if you don’t have the votes. You don’t get the votes if staff don’t trust your idea and aren’t supportive to your colleagues. I started to write a response to your other question I can’t find now, but my phone died. There are two ways to get questions answered. One, board members ask follow-up questions at the board table, if staff don’t answer it at the table, board staff record it and eventually you get a staff response. Two, board members submit questions to the chief of staff of the board office, that person “bucks the question”to the appropriate department. You may or may not get an answer eventually to your question as it was asked. I recommended that we have a tracking system like other school systems use where all board members questions are openly recorded so that all board members can see what questions their colleagues are asking, and ensure that those questions were answered. Our chief of staff did not implement that process while he was serving our office as they had other processes I guess he preferred. Dear Editor: We read “The new math: how data is changing the way teachers teach” with great interest. 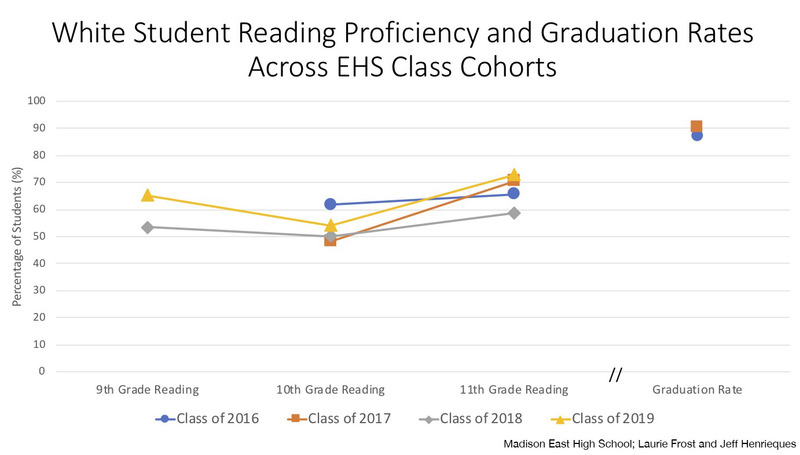 We learned that for freshmen at East High School, coming to school 90 percent of the time, having a 3.0 grade point average, and having no more than two failing grades is enough to put them “on track” for high school graduation. What about core academic skills, we wondered? Do students at East need, for example, to be able to read in order to graduate? To answer our question — and in keeping with the spirit of the article — we went to the data. The three-term School Board member said he is most proud of helping further MMSD’s work on diversity and inclusion. Howard said he wished the School Board could have approved several more major initiatives that he said would have helped students of color. Howard, the only black man on the School Board, is currently its longest serving member. He was first elected to Seat 4 in 2010 after defeating Tom Farley by nearly a two-to-one margin. Howard captured 76 percent of the vote when he was re-elected in 2013. He ran unopposed in 2016. Howard, an economist for the USDA Forest Service, was widely expected to not run for re-election this spring. He said during his 2016 campaign that his next term would be his last. Still, even as recently as earlier this month when several challengers announced School Board runs, Howard told the Cap Times he was still deciding if he would run again. In the late 19th century, the United States implemented laws to prevent corporations from growing too large and stifling competition in the market. While these rules have been around for more than a century, Columbia Law School professor Tim Wu argues that it’s time to revisit them in order to better regulate massive companies like Amazon and Google. He joins us to talk about antitrust laws and how concentrated corporate power can lead to massive inequality, nationalism, and populism. LIKE MOST MIDDLE-CLASS INDIANS I was primed from early childhood to value a practical life over a contemplative one. The assumption was that only an education in science can develop one’s reasoning capabilities and, more importantly, solve the world’s pressing problems. So when I decided to enroll for a master’s degree in philosophy, the question that troubled me was less about whether the subject would lead me to the truth and more about how effectively it would help me use my reason. I was conditioned to believe that “reasoning” meant solving complicated mathematical and scientific problems, or figuring out the issues of poverty and development. So I chose politics over philosophy. Most contemporary problems are political, and the solutions to even non-political problems depend on politics, the best example being climate change. Yet, having made this decision, I continued to wonder how we could live well in the world without investigating what a good life is. And that is when I discovered the centrality of this question to the ancient Greeks and to classical Western philosophy, and these philosophers’ belief that reason was crucial to living the good life. Plato was deeply influenced by his teacher Socrates, and Plato’s writings are referred to as Socratic dialogues. This is not merely because these works featured Socrates as the main character but also because they were written in a “dialectical” mode—a form of discourse in which characters are in conversation with each other, acknowledging what is worthwhile in the other’s argument, while at the same time productively criticising it. Most of Plato’s dialogues, including his most famous one, Republic, were written to counter some of the philosophical positions advocated by the Pre-Socratics. In taking on such a wide range of ideas, Plato ended up commenting on almost every possible philosophical subject. And it is this immensely rich contribution to the discipline that the British philosopher Alfred North Whitehead had in mind when he said, “the safest general characterization of the European philosophical tradition is that it consists of a series of footnotes to Plato.” Almost every major western philosopher, from Aristotle to Heidegger, has written about his ideas, and Platonic studies is a substantial field within Western philosophy. Some, such as Ralph Waldo Emerson, saw Plato as the quintessential philosopher, while others, such as Nietzsche, felt his ideas represented everything that philosophy should not be. The Madison School Board on Monday backed a proposed contract that would keep police officers at Madison’s four main high schools. Board members voted 4-2 in favor of the proposed contract, which would emphasize alternative disciplines instead of arresting or citing students, lay the groundwork for a new complaint procedure against the officers and require more training in areas such as autism, adolescent brain development and implicit bias. The board, though, added contract language that would give the Madison School District the ability to require an officer be replaced for cause. Members T.J. Mertz, James Howard, Dean Loumos and Burke supported the contract, Nicki Vander Meulen and Kate Toews voted against it, and Gloria Reyes was not present for the vote. Earlier in the meeting, the school board approved by a vote of 5-2 a new specialized learning track for its Personalized Pathways program to go in effect at East, La Follette and Memorial high schools during the 2019-20 school year. Related: the Obama campaign’s 2008 and 2012 Facebook relationship. Will Barrett, an 11th-grader at Fairport High School, has avoided the pitfalls of many other suburban students of color. He takes several Advanced Placement classes and doesn’t have any disciplinary problems. Even so, he said he is constantly confronted by the sort of overt racism that many white people believe disappeared generations ago. He recalled one instance where another student said that black people come from the jungle. Black people commit the vast majority of crimes, the white student continued, so the country would be better off without them. Millions Of Comments About The FCC’s Net Neutrality Rules Were Fake. Now The Feds Are Investigating. Even if Google were right that ending the immunity for Backpage might lead to an occasional frivolous lawsuit, life requires some balancing. After all, only that fact of declining enrollments allows the university to institutionalize the unspoken reality of eroding student interest. In other words, the university is simply burying liberal-arts majors that were already killed off not by bottom-line-minded state legislators but by the choices of either students or faculty or by university policies, or by combinations of all three. Global chess enthusiasts are sitting enthralled this week as the sport’s latest World Championships head toward a tense finale in London. $600,000 in prize money awaits the victor of the 12-game clash between Magnus Carlsen, Norwegian wunderkind and current titleholder, and his younger challenger Fabiano Caruana, a combative U.S.-born grandmaster of Italian descent. Yet while this long-anticipated contest is being fought out between an American and a European, rapid developments in modern chess hold intriguing lessons — technologically, geographically and institutionally — for the future of Asia too. For starters, chess is a corrective to those who fret that new technologies, and in particular artificial intelligence, will render human beings redundant. Basic smartphone apps can now easily beat Carlsen, Caruana or indeed any flesh-and-blood player. Despite this, interest in the game is thriving. The state of Columbia’s highly ranked program — a “disgrace,” the provost acknowledged as he declined their refund request — may be unusual. But the ceiling has yet to crumble on the M.F.A. market more broadly. The degree has increasingly become a prerequisite for people trying to break into the art world, especially those seeking the attention of the leading New York galleries. More than half of the 500 most successful American artists at auction hold M.F.A.s. But what is really happening inside these programs? And what effects do they have on contemporary art? As I continue to do Conversations with Tyler, more people ask me about “the Tyler Cowen production function.” Well, here is one piece of it I don’t think I’ve written about or talked about before. I’m going to bring you there in slightly long-winded fashion, long-winded for a blog post that is. I’ve long been convinced that “matters of culture” are central for understanding economic growth, but I’m also painfully aware these theories tend to lack rigor and even trying to define culture can waste people’s time for hours, with no satisfactory resolution. So I thought I would tackle this problem sideways. I figured the best way to understand culture was to try to understand or “crack” as many cultural codes as possible. As many styles of art. As many kinds of music. As many complex novels, and complex classic books, and of course as many economic models as well. Religions, and religious books. Anthropological understandings. I also learned two languages in my adult years, German and Spanish (the former better than the latter). A bit later I realized that figuring out how an economic sector works — if only partially — was really not so different from cracking these other cultural codes. For instance, once I spent three days on a boat (as keynote speaker), exclusively with people from a particular segment of the shipping trade. It was like entering a whole new world and every moment of it was fascinating. Eventually it seemed to me that problems of management were themselves a kind of cultural code, each one different of course. And travel was the most potent form of this challenge, every new place a new culture to be unraveled and partially understood, and how much time was there to do that anyway? Robert Fellner, executive director of Transparent California, which posts information on the compensation of California public employees on the internet, questions the use of salary surveys to justify raises. “Wages should be set on market conditions and reflect whether the county is able to attract and retain talent,” Fellner wrote in an email. Additional pension costs will account for nearly $44,000 of the $220,000 in annual additional ongoing county costs that will result from the equity raises. Hymel said because the salary increases won’t average more than 3 percent annually they won’t add to the county’s unfunded pension liability. He said that is because the county’s pension board has already factored a 3 percent annual increase in employee costs into its projections. Even migration is bigger in Texas. Dallas leads all U.S. cities as the largest net gainer with 246 people arriving daily, according to a Bloomberg analysis of 2017 Census data on migration to the 100 largest U.S. metropolitan areas. In 2014, the crown belonged to Houston with 269 migrants per day. After Dallas, Sun Belt beacons Phoenix, Tampa, Atlanta and Orlando round out the top five. Seattle, at number six with a gain of 116 people daily, is the only cold-weather destination in the top 10. The daily influx surpassed 100 people in nine cities, while Chicago, New York, and Los Angeles saw an exodus of more than 100 people every day. These figures exclude the natural increase in population, which is the difference between the number of live births and the number of deaths. The Oakland City Council has suddenly declared that Mayor Libby Schaaf’s “Children’s Initiative” passed in last month’s election even though it failed to receive the required two-thirds voter approval. The seemingly unprecedented decision to effectively move the election goal posts closer after the ballots were counted constitutes a stunning breach of trust with the voters. This decision is headed to court, where it should be stopped. Voters were told by the city attorney before the election that Measure AA required two-thirds approval. It fell short with 62.5 percent support. Suddenly, the council says it only needed majority backing. The time to make that argument was before the campaigning began. The first question any thoughtful person might ask when reading the title of this essay is, “Hard for whom?” A reasonable question. After all, Chinese people seem to learn it just fine. When little Chinese kids go through the “terrible twos”, it’s Chinese they use to drive their parents crazy, and in a few years the same kids are actually using those impossibly complicated Chinese characters to scribble love notes and shopping lists. So what do I mean by “hard”? Since I know at the outset that the whole tone of this document is going to involve a lot of whining and complaining, I may as well come right out and say exactly what I mean. I mean hard for me, a native English speaker trying to learn Chinese as an adult, going through the whole process with the textbooks, the tapes, the conversation partners, etc., the whole torturous rigmarole. I mean hard for me — and, of course, for the many other Westerners who have spent years of their lives bashing their heads against the Great Wall of Chinese. The hit that put Walker Williams’ brain over the edge — leaving him with ongoing headaches, mood swings, ringing in his ears, depression, anxiety and short-term memory problems — was nothing out of the ordinary. The University of Wisconsin football team had the ball and was lined up against Northwestern’s defense during a November 2015 game in Camp Randall Stadium. With 13:29 left in the second quarter, the ball was snapped, and the Badgers’ offensive line sprang into motion. A second later, Williams’ mind went blank. He stayed in for the next four plays, but he is not sure why. He does not remember any of them. When Williams came over to the sidelines, “it was quite clear that I was not okay,” he said. His “speech was off” and he “wasn’t all there,” so associate head coach Joe Rudolph took him out of the game. Williams remembers bits and pieces of the episode, such as sitting on the bench and getting evaluated in the training room. The Wisconsin Center for Investigative Journalism is funded by a variety of organizations. If we are to believe Deborah Mitford, Dowager Duchess of Devonshire, her father, Lord Redesdale, read only one book in his life and that was White Fang. “He loved it so much he never read another. … ‘Dangerous good book,’ he used to say, ‘no point in trying any more.’ ” I also loved White Fang, but instead of desisting from books, I couldn’t wait to get my hands on more of them. Of course, I was barely a teenager at the time, and since then I’ve come across a few novels even better than White Fang—and some worse. Nonetheless, Lord Redesdale, father of the notorious Mitford sisters, whose daughter Nancy wrote novels that he presumably opened, had a point. Reading ought to be pleasurable, so why waste time on poems or novels that don’t provide any? A plausible enough conceit that becomes bothersome only when we attempt to define reading pleasure. Should we even begin, or is the subject a spiraling Escheresque staircase whose ending is everywhere and nowhere? Pleasure? Surely no sane critic would approach the subject, not anymore, not today. American English, however, was not really the problem, as any careful reader would have discerned. What truly bothered Newman was the scripted melodrama of press secretaries, speechwriters, and journalists. He disapproved of how these spokesmen of the educated class recycled favored tropes and hyped their own minor insights into major revelations. And he reserved a special contempt for the legalese of the Watergate proceedings, not just the infamous banality “at that point in time,” but the whole pompous subspecies of circuitous Nixonian blather. Global debt hit a record $184 trillion last year, equivalent to more than $86,000 per person — more than double the average per-capita income. Borrowing is led by the U.S., China, and Japan, the three biggest economies, the International Monetary Fund said Thursday, highlighting potential risks to global expansion given that their share of debt exceeds that of output. Overall, the amount of worldwide public and private debt is equal to about 225 percent of gross domestic product. The IMF debt figure is $2 trillion higher than the fund’s previous estimate released in October, adding end-2017 data and several countries that had not previously reported updated numbers. The agency uses data for 190 countries dating back to the 1950s. Seat 3, currently held by Dean Loumos, will have a new member this April. Loumos announced earlier this month that he would not seek re-election, citing medical concerns that would take him away from the campaign trail. Cris Carusi, a district parent and volunteer, is running against education activist and One City Schools founder Kaleem Caire. Carusi ran for Seat 6 in 2017. She fell short in the three-person primary in that race. Carusi told the Cap Times that she learned a lot from her first-ever campaign for public office. Caire also has run for School Board. He lost the race for Seat 4 in 1998. One City Schools, which expanded from One City Early Learning Center earlier this year, is one of the state’s first 4K and kindergarten charter options authorized by the University of Wisconsin’s Office of Educational Opportunity. Caire went to the UW System to get One City Schools chartered after an earlier attempt to get a charter school, Madison Prep, approved by the Madison School District failed on a 5-2 vote in 2011. He has previously said that he won’t have a conflict of interest if he serves on the School Board because One City Schools isn’t chartered through MMSD. To be specific, one of my sons is a daily witness to minor and major forms of bullying between races and classes of students in his new school. Some of it amounts to the kids-will-be-kids variety of abuse like relentlessly making fun of ears or nose sizes or other immutable characteristics. Other times its nuisance crimes like having his personal property purposefully broken by other people’s children. And, too often for my comfort, it is the threat of violence or actual violence. In most of those cases, I give my kids all the bad advice I was given back in the era of disco. Luckily I’m married and my wife offers our kids responsible strategies to use when they encounter trouble at school. The fact that we need to focus so intently on working with our kids on navigating don’t wild school environments where adults have too little control is a sign that has “exit” written all over it. But, it gets worse. My elementary school-age daughter reports to us she has been punched has had her hair pulled, and was spit on by a boy in her class. This is where the SIS transforms into the SIT and SID. It appears we are headed toward a School Board election that promises something new: a candidate whose voice will do more than add sound and fury to the liberal echo chamber that is Madison politics. David Blaska has the background, experience and most importantly the courage to expose the abuses and neglect of those in charge of our schools. Having been shouted down and bullied at several meetings of the Madison School Board over the past several months, Blaska is uniquely qualified to expose the pusillanimous hand-wringing that passes for decision-making by those who shape educational policy in this city. He has seen firsthand how a small cadre of vocal extremists, called Freedom Inc., have cowed the current School Board with their unique brand of cop-hating venom. When ordinary citizens are afraid to attend meetings for fear of being harassed by a mob of fanatical ideologues, we are witnessing a system that has shamelessly abandoned its mandate. If elected, Blaska may be a lone voice crying in the wilderness, but at least it will be a voice unafraid of speaking truth to power. It starts with safety and discipline,” said Blaska, who on his blog has been sharply critical of the district’s deliberations over whether to continue stationing Madison police officers in the high schools. Despite raucous protests by the activist group Freedom Inc., a committee of the board recommended on Sept. 26 that the police officers, called educational resource officers, or EROs, remain in the schools. Protests against EROs by the same group shut down a School Board meeting on Oct. 29 to approve the budget. It was approved two days later in a special meeting. Blaska also criticized the district’s Behavior Education Plan as “too bureaucratic” and the “product of too many administrators and too many meetings.” The plan — which was rolled out in 2014 and runs to 77 pages for elementary schools and 82 pages for middle and high schools — is largely an attempt to move away from “zero tolerance” policies and reduce the disproportionately high number of students of color who are expelled or suspended. It is undergoing revisions this year. He said he would try to get the BEP down to about eight pages while giving teachers and administrators more discretion over how they handle student behavior in their schools. Incumbent Dean Loumos, who chaired the ERO committee, said he was “not at all” vulnerable to criticism about the way he has handled security issues. Blaska has frequently criticized members of Freedom Inc., the local social justice advocacy group that has spoken out at recent School Board meetings against the use of educational resource officers in the city’s four comprehensive high schools. Blaska in recent blog posts has called on Dane County District Attorney Ismael Ozanne to prosecute the the protesters who shut down the October meeting. Burhan Yildiz, a leader of more than 4,000 Kurds living in the Stockholm suburbs of Tensta and Rinkeby, claims he knows people who voted this year for the Sweden Democrats, the nationalist party whose improving electoral performance has thrown Swedish politics into disarray. Yildiz has lived in the area for 29 of his 55 years and knows everyone, but a search for those who backed the Sweden Democrats in the September parliamentary election would be a tall order even for him. In the nine electoral districts in Tensta, where Yildiz and I spent part of an afternoon drinking Turkish-style tea, just 302 people out of the 5,907 who cast valid ballots supported the nationalists. More than 19,000 people, most of them immigrants or children of immigrants, live in Tensta. Many of them aren’t entitled to vote, and even those who are often don’t: While the turnout was 87 percent nationwide, it only reached 56 percent in Tensta. Ever since Justice Powell’s lone opinion in Bakke allowed the camel’s nose of “diversity” under the anti-discrimination tent, controversy has raged over preferential treatment awarded to college applicants of certain races. Just as hurricanes often change direction after landfall, the diversity movement has recently taken off in some surprising new directions that deserve public attention. First came the “diversity statements,” introduced by a smattering of institutions for promotion or tenure and sometimes for all new hires. Both the prevalence and the required content of these diversity statements has expanded dramatically. UCLA’s Office of Equity, Diversity and Inclusion, for example, recently released Version 2.1 of a comprehensive “Equity, Diversity, and Inclusion (EDI) Statement FAQs” attempting to justify why equity, diversity, and inclusion should “figure into faculty hiring and promotion” and laying out chapter and verse of what should be included in EDI statements. In whatever remains of our weirdly didactic civic culture, the death of a statesman is supposed to impart a lesson. John F. Kennedy’s assassination was held to be a solemn set piece about the loss of American innocence—something that occurred in the actually existing world roughly an hour or so after the first settlers in Jamestown set about scouring the New World for gold, at the expense of the basic rigors of sustenance. John McCain’s passing was naturally treated as a sermonette on the waning martial character of our once-great republic, which was somehow failing to heed the stirring example of a true patriot’s fealty to imperial war-making and supply-side dogma. So it was anything but surprising that the loss of George H. W. Bush sparked a vigorous round of pundit nostalgia for an America of noble elite public service and self-sacrifice. “President, patriot, gentleman,” read the headline about Bush’s funeral in my hometown Washington Post. This selfless Brahmin “made our lives, and the lives of nations, freer, better, warmer, nobler,” marveled Jon Meacham, the spirit of potted consensus history made flesh, from his eulogist’s pulpit. Meacham’s effusive tone poem would certainly have been discordant to thousands of Iraqis on the Highway of Death—and to thousands of stateside AIDS sufferers to whom Bush expressed a wan patrician indifference while in office. But the actual record of leadership and history counts for no more in Bush’s case than in Kennedy’s. No, what matters is the image of the civitas we project onto the dead leader—and in Bush’s case, the obvious thing to mourn was the passing of our stately WASP establishment into the boorish Guignol of the Trump era. Meanwhile, in a sign of how the Madison district is responding to subsequent charter applications, former Madison School Board member Ed Hughes said he went before the Goodman Community Center’s board on the district’s behalf on Sept. 24 to express the district’s opposition to another proposed non-district charter school, Arbor Community School, which was looking to partner with the Goodman center. Arbor has not entered contract negotiations with OEO yet, according to incoming OEO director Latoya Holiday, but has been approved for a charter contingent on finding a location. Goodman executive director Becky Steinhoff said the school first approached the center in early summer about using space there and possible other, later collaborations. Hughes said he delivered a letter from Madison superintendent Jennifer Cheatham that expressed the district’s dismay at allegedly being kept out of the loop on Arbor’s plans, and told the board that as a Goodman donor, he did not think other donors would look kindly on a Goodman partnership with Arbor. In the letter to UW System president Ray Cross, which is dated Sept. 24, Cheatham points to alleged deficiencies in Arbor’s application, and accuses OEO of not sharing information with the district about the proposed school. “I am writing you to formally request that the OEO immediately terminate contract negotiations with (Arbor Community School) or, at the very least, require that this school not be located in the City of Madison,” she writes. Steinhoff said partnering with a charter school such as Arbor would likely be controversial in Madison but that even in the absence of the district’s opposition to the school and Hughes’ appearance before the board, the board “probably” would not have authorized further discussions with Arbor. Mertz said he will look to highlight his record during the campaign, and also talk about building trust and accountability in the Madison Metropolitan School District. Ed Hughes (2005): Madison Teachers union and the school board. An idyllic ease permeates California’s Carmel Valley. Wealthy people have built ranch-style houses into the mountains, giving them views of the Pacific on one side and pine and cypress forests on the other. It’s neither too hot nor too cold, and the fresh ocean air makes you feel calm inside. These conditions, which give big ideas room to grow, have attracted artists to the area, as well as retirees who want to meditate on the good life. But every now and then, the gentle rhythm of this place gets disturbed. Someone’s perfectly manicured existence goes in a turbulent, unexpected direction. For some people, it’s a real estate shock. For others, it’s an earthquake or—God knows—a wildfire. 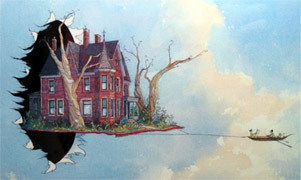 For Randy Hunter, a local art dealer, that moment arrived in 2008. The financial crisis had come to paradise. Artists and galleries accustomed to a steadyish stream of wealthy collectors fell on hard times. Things got bad enough that Larry Fischer, the owner of a sculpture foundry, decided to auction off pieces he’d held on to for years to help make ends meet. Ahead of the auction, he invited Hunter to come see if there was anything he liked. He guided his friend through the gritty warehouse toward a collection of bronze sculptures he thought might be of particular interest. Matt Smith, acting headteacher of Huntington School in York, is teaching a maths class. He projects a circle with three sectors on to the whiteboard. How many degrees is each sector? Twelve boys and girls, aged 15 and 16, in blue uniforms with knotted ties, stare at the board. It’s 10am on a rainy Tuesday in December, the sort of day that almost anyone who ever went to school will remember. Huntington is a comprehensive school whose 1,532 pupils (almost all classified as “white British”) range from professors’ kids to children from a poor housing estate. The school has playing fields and tennis courts but is mostly a collection of unremarkable 1960s buildings. Smith, not quite 40, is a tall, upright, serious figure. Today he is working the room like a performer on stage, scanning faces to make sure everyone is focusing. About once a minute he asks a question. Most of the time several hands go up, even from the two boys in the back row. There is no whispering. The slightest gust of unanticipated news can blow her finances off-course entirely — like the $144 car registration fee she had overlooked a few months ago. “It just jumped on me — I should have known,” said Ms Tilton, 53. She has fine, platinum hair and flips easily between laughter and tears. There is one other thing Ms Tilton faithfully records: the $50 or so she puts away each month, steady progress towards her dream of one day owning a home. In September, she was accepted by a charity called Habitat for Humanity, which builds low-cost houses with people like Ms Tilton — the working poor who are just scraping by, yet are somehow deemed too well off for public housing. If the prize seems distant, it looms just across the street from Ms Tilton’s two-bedroom flat at the Tucson Palms apartment complex — a glamorous-sounding facility whose namesake trees are withered and whose railings have been appropriated as clothes lines. There, on the other side of Yavapai Road, the wooden frames of nine new Habitat houses are rising on concrete slabs that have taken over a vacant lot. Two of our nation’s premier credit rating agencies, Moody’s and Fitch, have issued reports recently giving a negative outlook on the finances of American higher education. Of course, the financial condition of schools varies considerably: there are affluent ones with large cash reserves, billions in investments in their endowment, and robust demand for their services, while other schools are worried about where they will get cash to meet their payroll and pay their bills. I heard of one state school that was supposedly trying to sell buildings in order to meet its payroll. The pessimism of the rating agencies seems justified. Total higher education enrollments in the U.S. have been falling for the last seven years, particularly concerning for the majority of institutions dependent on tuition fees for much of their operating funds. Most current college freshmen were born in or near the year 2000. The number of births in 2005 or even 2009 (potential students a few years from now) was less than it was in 1990. The lifetime fertility rate of American women is at a record low of around 1.8, well below the level needed to avoid long-term population decline in the absence of large-scale immigration. Moreover, anti-immigration attitudes and toughening visa requirements do not bode well for large increases in foreign-born students. These days, economic growth bypasses rural economies. In the first four years of the recovery after the 2008 recession, counties with fewer than 100,000 people lost 17,500 businesses, according to the Economic Innovation Group. By contrast, counties with more than 1 million residents added, altogether, 99,000 firms. By 2017, the largest metropolitan areas had almost 10 percent more jobs than they did at the start of the financial crisis. Rural areas still had fewer. It would be too much to say that the office is the prime locus of utopian aspirations in American life. But the claim wouldn’t be entirely misleading, either, and it might even shed some light on what the office actually is. From their earliest days as dingy counting houses in Boston and Manhattan, American offices have adapted to the flux of capitalism. Or capitalisms, really. Each new management technique or architectural fad, if not the direct result of some larger shift in modes of production, at least isomorphically reflects the evolution of capitalism’s spirit. From Taylorism to the open-plan design, the office is a stage on which we act out capitalism’s fantasies of itself. Set changes are necessary as the spirit shifts and the plot develops. A number of the panelists also praised unconscious bias training for employees. As of 2015, 20 percent of companies provided such workshops. The notion of “unconscious bias” is based on implicit-association tests, which ask participants to look at pictures of members of various identity groups and then measure their response time in matching images with either pleasant or unpleasant words. Such tests have been subject to an abundance of criticism—most notably that the tests don’t measure bias, but unrelated things such as the time it takes to switch tasks. It’s also the case that many people with strong negative implicit-association test results don’t show any overt racism in their actions. Unconscious bias training is based on an unproven and cynical worldview: Deep down, everyone is at least a little bit bigoted. This perspective may serve to delude bigoted people into justifying their prejudices as “normal.” Some research explicitly suggests unconscious bias training may actually create a norm for stereotyping and thus increase its prevalence. Mr. Kazmierczak also referred to the T. Rowe Price Associates board of directors as having “over 40 percent diversity,” as if an individual can be measured as diverse. In Mr. Kazmierczak’s telling, a board made up entirely of black women would be 100 percent diverse. That’s not the definition of diversity; the word means having “variety” or “difference” in relation to a larger group. In practice, labeling an individual as diverse “others” members of minority groups, which weakens the concept of a larger unified humanity, and encourages individuals to silo themselves according to tribal notions of group membership. The panelists claimed that to be competitive, businesses must hire and promote for a diversity of identities and ethnicities, but in fact, research shows the most valuable sort of diversity in hiring is diversity of thought. Intellectual diversity can sometimes correlate with diversity of identity group membership and end up increasing demographic variety as a side effect, but it doesn’t need to. The Acero charter school network and the Chicago Teachers Union reached a tentative agreement on a four-year contract early Sunday, bringing to an end a four-day teacher strike. It was the first strike of charter school employees in U.S. history. ● a union show of force in defiance of the U.S. Supreme Court’s Janus ruling. The primary purpose of a strike is to extract concessions from an employer when other methods fail. The Acero teachers were successful in this regard, and so perhaps the strike was justified. But there are charters in 43 states and some have been unionized for years. Teacher unions have opposed charters since the first one opened in 1992. So why did the first strike occur in Chicago in 2018? No reporter delved into that question. If you used Facebook in late November, you probably saw a stream of fundraising campaigns for charities and cultural organizations. That’s because Facebook offered up to $7 million in matching donations for nonprofits that used its platform to raise funds on Giving Tuesday. But this gesture masks the negative impact Facebook’s newly adopted advertising policies have had on nonprofit organizations that rely on social media. In response to public scrutiny stemming from the Cambridge Analytica scandal this year, Facebook has implemented enforcement measures aimed at improving election security and discouraging anonymous political messages. These measures have been poorly executed and inconsistently applied. They unfairly burden charitable organizations and small businesses, yet are easy for organized or well-funded actors to circumvent. Similarly, Arts Japan 2020, an entity that highlights Japan-related cultural programs in the U.S., was unable to promote a post celebrating an award given by the emperor of Japan to an American arts curator. Facebook claimed the topic was of “national importance.” These harmless posts remain on Facebook in unpromoted form, but unpromoted content has a limited reach. -The nation’s obesity rate has reached the highest-ever level this year, according to the United Health Foundation’s 2018 . Obesity is a leading contributor to cardiovascular disease, cancer and other conditions. Additionally, an increase in drug deaths, suicides and cardiovascular disease deaths is contributing to an increase in premature death. Remember the 2014 bestseller “Capital in the Twenty-First Century” by French economist Thomas Piketty? … The dismal tale of exploding inequality and capitalist failure has been a recurring theme in political chatter ever since. But a new report highlights just how poorly Mr. Piketty’s thesis has held up under further study. Piketty and Saez’s findings garnered tremendous attention and were cited repeatedly. But many researchers eventually found problems with Piketty and Saez’s approach and developed income inequality measures that led to different findings. It’s a monthslong ordeal that could change the course of a high school senior’s life, leading to a choice that could cost tens of thousands of dollars or more. No wonder the college-application season can torpedo the holidays for teens and their parents. Many students labor to meet early-winter deadlines for college applications, often under the anxious eyes of their parents. The resulting stress can damage family relationships if parents fail to set good boundaries and keep their own anxieties in check. Looking back, Dr. Reddy says, “I was thinking about what I would do rather than what she would do.” She sees now that her daughter, a junior at Case Western Reserve University, was well-informed and well-equipped to make her own decision. Is our constant use of digital technologies affecting our brain health? With so many of us now constantly tethered to digital technology via our smartphones, computers, tablets, and even watches, there is a huge experiment underway that we didn’t exactly sign up for. Companies like Google, Facebook, Twitter, Apple, even Vox (if we’re being completely honest) are competing for our attention, and they’re doing so savvily, knowing the psychological buttons to push to keep us coming back for more. It’s now common for American kids to get a smartphone by age 10. That’s a distraction device they carry in their pockets all the time. The more adapted to the attention economy we become, the more we fear it could be hurting us. In Silicon Valley, we’re told more parents are limiting their kids’ screen time and even writing no-screen clauses into their contracts with nannies. Which makes us wonder: Do they know something we don’t? Kima Nieves recently received two Aveeno bath-time sets and a box of Huggies diapers through her baby registry on Amazon. The only problem? The new mother didn’t ask for the products, or even want them. Instead, Johnson & Johnson JNJ 1.58% and Kimberly-Clark Corp. KMB 1.73% each paid Amazon.com Inc. AMZN +0.03% hefty sums to place those sponsored products onto Ms. Nieves’s and other consumers’ baby registries. The ads look identical to the rest of the listed products in the registry, except for a small gray “Sponsored” tag. Unsuspecting friends and family clicked on the ads and purchased the items, assuming Ms. Nieves had chosen them. Amazon in recent years has charged into advertising, building the third-largest digital ad business in the U.S. after Alphabet Inc.’s GOOGL +0.76% Google and Facebook Inc., according to eMarketer. Its ad revenue is on pace to double this year, to $5.8 billion, eMarketer estimates. Caire, 47, is a Madison native who in 2011 mounted a contentious and ultimately unsuccessful attempt to get the School Board to approve what was initially conceived as an all-male public charter school serving those who have long struggled in Madison’s traditional public schools: poor children and children of color. In an interview, Caire said he’s open to the School Board approving charters, but is “not a charter purist.” His preschool, One City Early Learning on the city’s South Side, was approved as a charter this year by the University of Wisconsin System’s Office of Educational Opportunity. He also said he’s in favor of keeping Madison police officers, called educational resource officers, in Madison’s four main high schools and that he’d like to see a Madison public school focused on the performing arts and one focused on science, technology, engineering and math — the so-called STEM disciplines. Caire’s entrance into the race for Seat 3 brings to five the number of non-incumbents seeking seats on the seven-member board. There are three seats up for a three-year term in the April 2 spring election. If more than two candidates vie for a seat, the field would be pared to two in a Feb. 19 primary. His latest film, “HyperNormalisation” (the trailer of which is below) argues that stability has been preserved by ideas that are somehow both difficult to believe and almost impossible to escape. As part of The Economist’s Open Future initiative, we interviewed Mr Curtis at his work studio in London. The conversation glided from individualism and data to populism and “this sense of doom” that people feel. Fittingly for a discussion that touched upon the superficiality of media, we are publishing the transcript with only the lightest of edits. It is 8,500 words, or around 35 minutes to read. The less committed can google “youtube epic card trick” and affirm Mr Curtis’s theses instead. Google workers are at each other’s throats over leaks emerging from the search engine giant, according to a former senior employee. Jack Poulson, a former research scientist at Google, has described a culture in which the “number one priority” among senior managers is to stop leaks to the media. Employees at the company’s headquarters near San Jose, California, are encouraged to monitor their colleagues and list on a web page within Google called “Stopleaks” any confidential information that they see externally. Anyone who is caught revealing information to the press is fired. Many taxpayer supported K-12 School Districts, including Madison, use Google srrvices. The ‘perfect babysitter.’ Must pass AI scan for respect and attitude. But then the WASPs themselves decided to dissolve their own aristocracy, and transform their once-Protestant universities into a secular mass-opportunity system — a more democratic way of education, in which anyone with enough talent could climb the ladder, and personal achievement and technical expertise would be prized above all else. This was meritocracy, the system that we now take for granted. And for several reasons it didn’t work as planned. First, meritocracy segregates talent rather than dispersing it. By plucking the highest achievers from all over the country and encouraging them to cluster together in the same few cities, it robs localities of their potential leaders — so that instead of an Eastern establishment negotiating with overlapping groups of regional elites (or with working-class or ethnic leaders), you have a mass upper class segregated from demoralized peripheries. Second, the meritocratic elite inevitably tends back toward aristocracy, because any definition of “merit” you choose will be easier for the children of these self-segregated meritocrats to achieve. Over the years, there has been considerable discussion of Google’s “filter bubble” problem. Put simply, it’s the manipulation of your search results based on your personal data. In practice this means links are moved up or down or added to your Google search results, necessitating the filtering of other search results altogether. These editorialized results are informed by the personal information Google has on you (like your search, browsing, and purchase history), and puts you in a bubble based on what Google’s algorithms think you’re most likely to click on. College graduates in general earn higher income, live longer and are healthier than those who complete only high school. But it doesn’t always work out that way. Sometimes, depending on several factors, college graduates can end up worse off than people who haven’t gone to college at all.